There is only ENZO to enhance my breakfast. 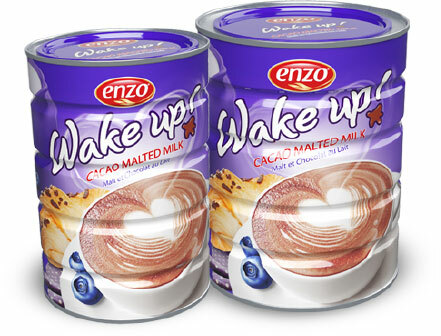 With ENZO WAKE UP powder, he gives a delicious chocolate flavour enhanced by a subtle malted taste to my milk. He provides me vitamins and minerals to keep in good shape all day long. With the flavoured milk powder ENZO WAKE UP, let’s pep breakfast up!